Motorized Pipette Filler - Oasis Scientific Inc.
Lightweight, ergonomic design allows longer, fatigue-free pipetting. LCD Display shows battery charge and speed setting. Low battery indication. Compatible with all plastic or glass pipettes between 1-100 ml. The aspirate and dispense speed controls are separate. Eight speeds are available for aspirating and dispensing liquid. Self-regulate the aspirate and dispense by circuit feedback. Lithium-ion battery offers long runtime charge and no battery memory problems. 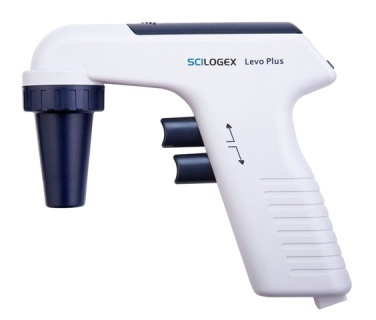 Fills a 25ml pipette less than 5 seconds. Can be used while charging, no down-time. Supplied with integral but replaceable 0.45um or 0.2um hydrophobic filter. Fully autoclavable nosecone housing simplifies disinfecting and decontamination.